Observations on AME Roundup 2019 – Overview of a successful BC block cave – New Gold Inc.
What exactly do you pay us for? The CEO of a small but successful commercial property management company, Real FMG, wanted to understand why some clients kept using their services, while others didn’t. He wanted to know what his business meant to his clients. This involved asking all the difficult questions, such as “what makes us different from the rest?” and “how do we actually work with our clients on projects?”, and “at which stages do we add value to projects?” in a hundred different ways. In short: They wanted to know, “what do our clients pay us for?”, because that would define what they do. They did not stop until they had refined and documented their differentiator, their IP and their methodologies. In the process they had to update their brand and redefine their core business. It required a Managing Director with vision and finesse, and involved splitting up the company over three stressful years. The answer to the question: “Why?” was not what they expected. It wasn’t price, or range of services, or efficient administration. It was that they constantly clarified the complex, obtuse and hard-to-access world of commercial property data for their clients, who were developers and owners, but mostly tenants. They were in the business of disambiguation. They were seen as experts with inside information. They fought, on behalf of their clients, to untangle the mess of information on property leasing, owning, financing and managing, which saved their clients time and aggravation, and made their clients trust them. Superficially, they could’ve just said that they set up and administrate commercial property leases. But that would’ve made them a property management firm, not trusted advisors. Looking at it that way left no room for the company to grow or strategically align themselves with their clients. 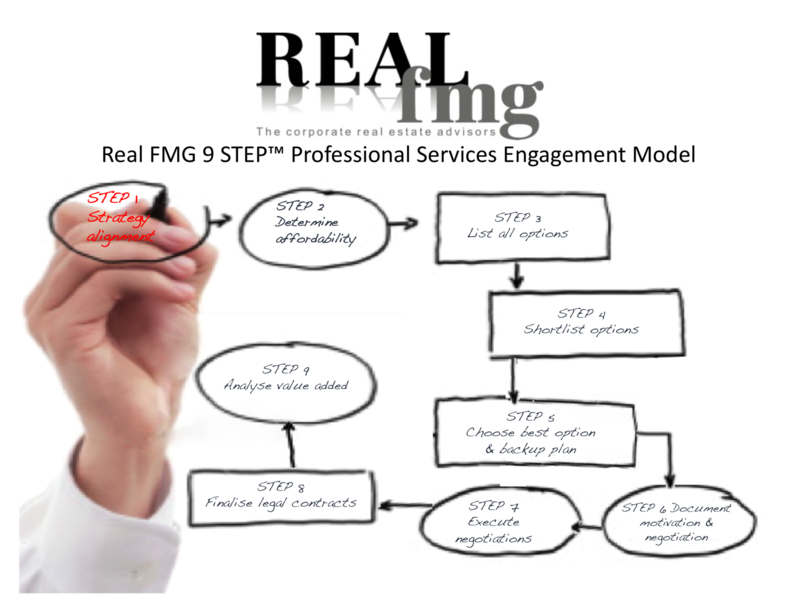 Is there any other commercial property firm in the world offering clients this model of tenant representation? No – not like Real FMG does it. They started by commissioning a satisfaction survey not only with their clients, but with those firms who could be seen as potential competitors and who were critical of them. The listed included property tenants, as well as property developers and owners. The survey was intense and interviews were conducted face-to-face with executives who had to open up in order to give their honest opinions. (Some executives only agreed to the interviews because of their personal respect for Real FMG’s directors.)  Therefore Real FMG employed an external agency, Red Pennant, for the work. The survey results were used to define company’s core services, and the company then adjusted their project management system to match. After that, they stated these core services in plain English in their marketing materials; Website copy, brochure, multi-media presentations, proposals, e-newsletters, and case studies. Out of this process came their story of a unique model of tenant representation and professional engagement in a highly competitive market. Commercial tenants recognized a good thing when they saw it. Many of the giant property owners, on the other hand, did not see the value. But the story of the Little Company That Could is still being told, and they are still in business today, after 16 years. Phone: +1 (604) 475 2238Blog at WordPress.com.